This light and citrus-y butter lettuce salad combines sweet orange, tart grapefruit, creamy avocado and the crunch of pistachios to make a palate pleasing winner! Mix all ingredients together in a shaker jar. Season to taste with salt and pepper. Adjust ingredients to taste. Let the mixture set for at least one hour. Refrigerate if not using immediately, but bring to room temperature to serve. 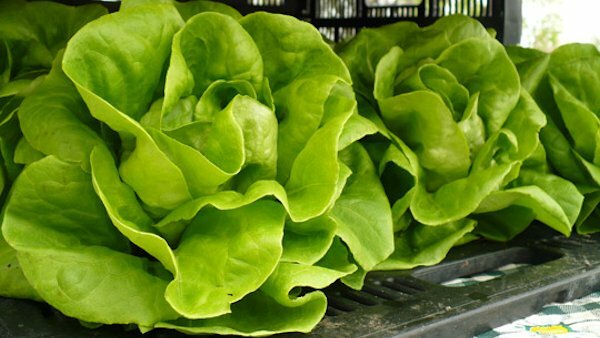 Wash your greens and spin or dry lettuce leaves so that there is no water on them. Refrigerate lettuce until crisp. When ready to serve, place into a large salad bowl. Pour desired amount of dressing over the lettuce to coat the leaves and place onto individual salad plates. Do not saturate salad with dressing; you just want it to “glisten”. To each plate, add a few orange and grapefruit sections and then decoratively place 2 to 3 avocado slices per plate. Sprinkle with green onion slices. Top with toasted hazelnuts or pistachios that have been coarsely chopped. A grind or two of freshly grated black pepper, a drizzle more of dressing and Voila!